This book of 5 short stories is a surprise. Yes, each story has a ghost, who appears at Christmas, but they are not horrifying. The protagonist may feel fear or confusion, but the reader feels curiosity. Why is the ghost returning? In the first story, Guardian, we meet the most traditional ghost-like figure, but this is also the story about relationships, good and bad. Occurring on Bodmin Moor late on Christmas Eve, there is a gradual build up of tension and we fear for Henry, just as his mother did. Hot Toddy is a more reassuring story of enduring love, while Roger Reed and the Road Kill Rabbit is an amusing tale of an unpleasant man receiving his just reward. My favourites are the last two stories. Old Man Symmonds echoes “A Christmas Carol”. There are two unjust bosses in different eras, mistreating their employees, but the heroine, Hayley, regains her confidence, realising her worth as a consequence of her encounter with the ghost. In this story and also in the final tale the main character deals with relationships and gains maturity. Eloise in The Christmas Ghost is struggling to become an author, but she already knows that her occupation as a house-sitter suits her disposition and her aspiration. Failing in her attempt to become closer to her critical mother, whose glass is always half-full, she returns to the Victorian cottage she is minding, to find a ghost whose fate is far worse than hers. The house has inspired her writing, will it help her to heal her family too? I highly recommend this delightful volume of unusual ghost stories and hope that there will be a second volume to follow next Christmas. Sophie Appersett, the heroine of A Holiday by Gaslight, is the kind of girl I would love to have as a friend. Frank and honest, she speaks her mind and is determined to find the best in other people. Accepting that she will have no love match, she is prepared to make a marriage of convenience to a man beneath her in rank but possessing a fortune, in order to save her family from ruin. Her profligate father has spent her dowry on modern gas lighting and has further expensive plans. Ned Sharpe may be presentable, but he fails to converse properly. His stiff, abrupt approach is at odds with Sophie’s loquacious chat, so she finally decides that, they “don’t suit.” However, his response to her termination of their potential betrothal, surprises her so she decides to give him one last chance at the Christmas party at Appersett House deep in the countryside. Although set 50 years after the world of Jane Austen, Sophie reminds me of Elizabeth Bennett in Pride and Prejudice, prepared to put her family first but feeling affection for a man who seems unable to communicate with her. But here we are in a mid-Victorian world looking to the future, where love matches can be achieved, and modern technology is embraced. A wonderful feel good read for the Christmas holiday. 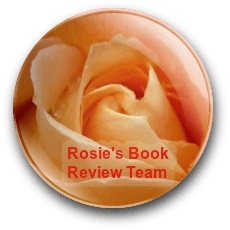 This year, I reviewed 70 books from a variety of genres. Often, those I like most combine genres such as mystery, romance, history etc. I’m not going to list 10 or more top books but just 7 in the order I read them during the year. These are the books I couldn’t put down, in which I became immersed and regretted finishing. 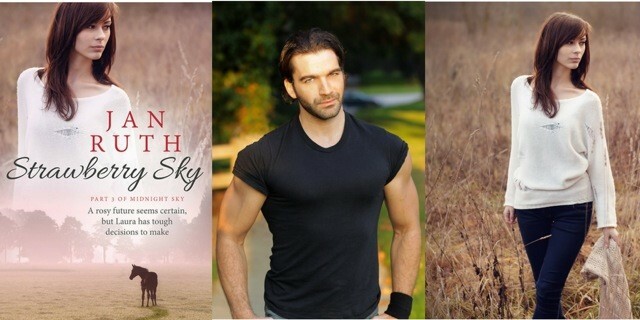 In April I was thrilled to return to Jan Ruth’s Midnight Sky series, reading the last of the trilogy, Strawberry Sky. This was an intense story of love and suffering, a family saga featuring a wonderful horse whisperer. If you are tempted please start with Book 1 Midnight Sky. The next great book was the beginning of Terry Tyler’s post-apocalypse series. What makes Tipping Point so convincing are her characters who step out of the page to talk to us. They have flaws, they make mistakes, they are human and we want them (or at least most of them) to survive. Luckily, Terry followed up quite quickly with the second book in the Project Renova series and I am looking forward to the third book in 2018. Another of my favourite authors, Georgia Rose, whose unusual thriller series The Grayson Trilogy is well worth seeking out, produced Parallel Lies, a new stand-alone novel, this year. Superbly plotted, with twists to catch you out, it kept me guessing to the end. I was so excited when Carol Hedges published another episode in the investigations of detectives, Cully and Stride. Wonders & Wickedness lives up to the quality and excitement of the previous volumes, steeped in the smells, sounds and sights of Victorian London. You can start with this book or any other in this wonderful series. It is always good to discover a new author. Thanks to Terry Tyler’s reviews I started reading books by Deborah Swift and my favourite was A Divided Inheritance. Starting in early 17th century London the story moves to Spain where the heroine finds herself a fish out of water in a dangerous situation. A fascinating novel. Another author I finally discovered this year was June Kearns. I loved both her books but An Englishwoman’s Guide to the Cowboy is superb. A brave, desirable hero, a sympathetic heroine and an amazing historical setting made it such pleasure to read. And the last of my seven choices is the second book I have read by Lizzie Lamb. We share similar names, Scottish birth and similar careers but if only I could write the way Lizzie can. If you’ve time to spare over Christmas, do download Girl in the Castle for sheer indulgence. Back in the 1980s and early 1990s there were several superb stories for children by husband and wife Janet and Allan Ahlberg. My respect for Eddie Redmayne increased tremendously recently when he shared his love for Miss Wobble the Waitress and other Happy Families books by the Ahlbergs. I have two copies of The Jolly Christmas Postman, one for children to pull apart and crumple and another in good condition which is mine! It’s Christmas Eve and the JOLLY POSTMAN is delivering greetings to various fairy-tale characters – there’s a card for Baby Bear, a game appropriately called ‘Beware’ for Red Riding Hood from Mr Wolf, a get-well jigsaw for hospitalised Humpty Dumpty and three more surprise envelopes containing letters, cards, etc. Everyone’s favourite postman keeps on peddling his bicycle up hill and down dale . . . and into everybody’s hearts. Introduce the main character – The Postman is jolly, full of food and glad to reach home at last. Audience appeal Children, adults, anyone who likes Christmas and inventive books. There was once a moneybox in the shape of a pig that belonged to a little girl named Angela. This pig had a curly tail, a coin-shaped slot in his back…and criminal tendencies. In some ways the pig was quite good-natured, at east when he was empty. But money is the root of all evil and as he got fuller and fuller, he became boastful. One night in the week before Christmas, when the pig was simply bulging with money, he decided to run away. He rattled. He scrambled and wobbled down the stairs………..
I’ve been getting myself into the Christmas mood by reading three fairly long short stories by Jan Ruth on the theme of Home for Christmas. Each story is set in Snowdonia but there are three very different story styles. Rudolph the Brown-nosed Reindeer describes an occasion everyone hates – a corporate weekend, part team building, part appraisal and part social. Rick, a reserved, hard-working man in his 30s is facing a lonely Christmas and he is not sure whether being stranded in a cottage in Snowdonia in bad weather will improve his mood or not. The story is a mixture of humour and pathos with an unexpected ending. Jim’s Christmas Carol has a more complex plot. Life catches up with an unfaithful husband in the setting of Christmas dinner at his large comfortable home. Good and evil are present in his home and we see the situation from more than one viewpoint. Tarot cards, Satan and a guardian angel all play a part. The last, and my favourite story, really is Home for Christmas for Philippa. Worn out by her pretence of a successful career and relationship she has returned to her home village for peace to take stock. This is a romantic comedy in a delightful setting which I will not spoil by writing any more. A great book to download and read over Christmas.